The Supreme Court today dismissed a petition seeking deletion of certain alleged objectionable scenes from Bollywood movie Padmavati, calling it “premature”. A bench headed by Chief Justice Dipak Misra observed that Central Board of Film Certification has not yet given certificate to the movie and the apex court cannot “injunct” a statutory body from doing its duty. "We have been apprised that the film has not yet received the certificate from the CBFC. In view of the aforesaid, our interference in this writ petition will tantamount to pre- judging, which we are not inclined to do," the bench, also comprising Justices AM Khanwilkar and DY Chandrachud, said. The bench also struck off certain paragraphs from the plea filed by advocate ML Sharma, saying pleadings in a court “are not meant to create any kind of disharmony in the society”. During the hearing, Sharma raised the issue of songs of the movie being released without a certification from the CBFC. He alleged that part of the Deepika Padukone-Ranveer Singh-Shahid Kapoor starrer was released despite the fact that CBFC had returned application, seeking grant of certification for the movie, to the filmmakers as it was incomplete. Senior advocate Harish Salve, representing one of the respondents, countered the submissions and said the film’s promo was released after it got the requisite CBFC approval. The petitioner alleged “character assassination” of Rani Padmavati in the film and the CBFC would not go into these aspects. The bench then elaborated on the functioning of CBFC in certifying a film and said “CBFC is a statutory body. How can the court injunct a statutory body not to exercise its duty?” It also said the court cannot direct the CBFC to decide a matter in a particular manner as it was for the board to take a call. Salve told the court that CBFC had sought from the filmmakers some documents which they have already filed and whatever was being shown at present has got the approvals.Sharma had approached the court seeking a direction for removal of all scenes of alleged “character assassination” of Queen Padmavati from the movie before its release.Viacom 18, the makers of the film, had earlier said that they have deferred the movie's release which was originally scheduled on Dec. 1. 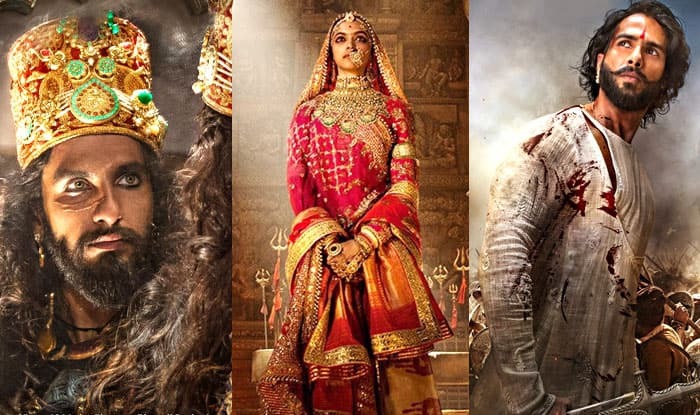 The set of the movie was vandalised twice – in Jaipur and Kolhapur – and director Sanjay Leela Bhansali was roughed up by members of Karni Sena during the Jaipur schedule of the film earlier this year.